Yesterday morning I found a dead cat on the pavement. 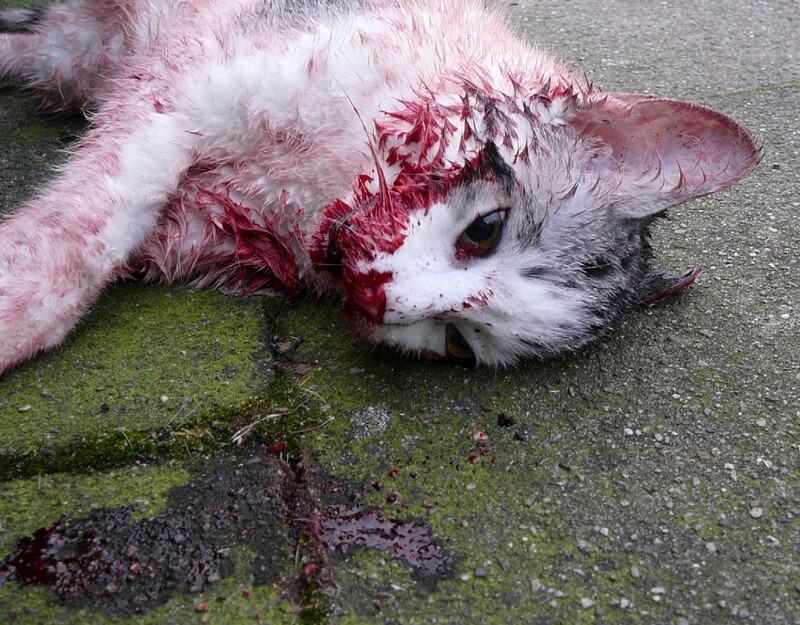 Her white and silver-grey fur was soaked in blood, although no external injuries were visible. Maybe she was hit by a car. I lifted her up in my arms and carried her away as careful as I would have done if she had been alive. The body was still warm, her eyes still clear. This year brought illness, despair, loss, death of friends and relatives. A friend of mine once said, she always thought that age will numb oneself against these strokes. But quite the contrary, it thins the skin.